When booking this tour we take full payment unless otherwise stated. If you wish to make a deposit for this tour, you can. In the Payment Options box on the booking form, please indicate if you wish to make a deposit or pay for the tour in full. The deposit is $400.00 per guest. Please Note: Once you have completed the booking form, it will indicate that the full tour price is due. However, if you have noted in the "Payment Options" box that you only wish to pay a deposit, this is what we will charge your card when we receive your booking. Maria is a peaceful and relaxing place. There are no vehicles, just beautiful scenery, plentiful wildlife and deserted beaches. To add to the beauty of the island, Maria has an intriguing history. After the first explorers, came the whalers and sealers, and a convict station pre-dating Port Arthur. 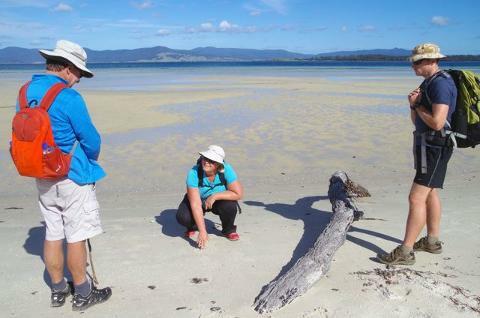 Now, Maria Island is a National Park and has recently been given World Heritage Area status. The island has 2 parts, northern and southern. Both have distinct geographical features. There are no vehicles, shops, hotels, or is there power on Maria, so we have to be self – sufficient. The trails that you’ll walk are easy and your daypack will be light. You will explore the length and breadth of the island and there is much evidence of aboriginal and colonial occupation, farming and early industry. The island is abundant with wildlife and plant communities. You will see wombats, wallabies, pademelons and forester kangaroos. There are over 114 bird species including the introduced Cape Barren Geese. The islands vegetation is varied and stunning. Spectacular 1 hour scenic charter flight over the Tasman Peninsula then landing on Maria Island and / or ferry access. We will supply you with a comfortable daypack, sleeping bag, liner and mattress and pillow. When walking your daypack including your personal gear should not exceed 11kg. If you think that you can’t carry it, no problem we can carry it for you. All food while on the tour. All evening meals are 3 courses, consisting of some local Tasmanian produce complimented with fine Tasmanian wines. refund will be given. Up to 3 weeks prior to the tour no refund will be given. weeks prior only. Please note the 10% booking fee is 10% of the tour price. Should a participant/guest need to leave a tour once it has commenced, due to a medical emergency or any other reason, no refund, partial or in full, will be given. Please note that all tours are subject minimum numbers and the tour will only run if those minimum numbers are met. We strongly suggest that when you book flights and accommodation, that you take out travel insurance to cover any cancellation of a tour. 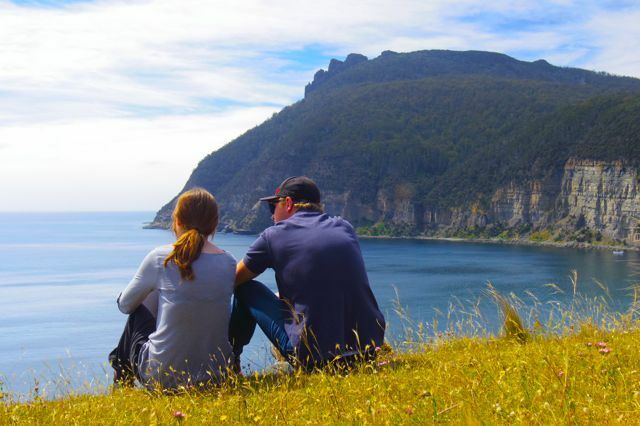 Tasmanian Hikes will not be liable to cover any travel cost should a tour be canceled or delayed. 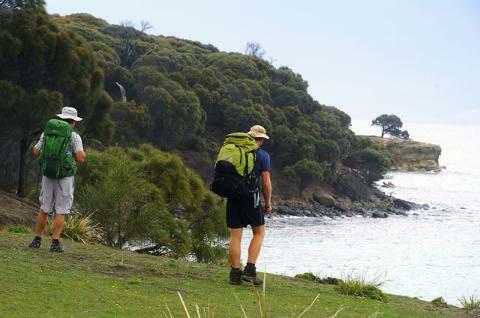 Tasmanian Hikes reserves the right to vary or postpone a tour due to unsafe conditions such as severe weather, floods, bush fires or sudden track closures.